I still have to focus on single unders as DU hurts my shoulder too much. I did get about 10 DU after the 5 minutes when my shoulder was warmed up. This was the first time I loaded a bar in the rack position since surgery. It hurt a bit just pressing down on my shoulder, but I was able to tolerate up to 165#. This is not quite 65% of my old 270# 1RM, but for my first attempt, I will take it. I finished 5 full rounds plus 4 more front squats. 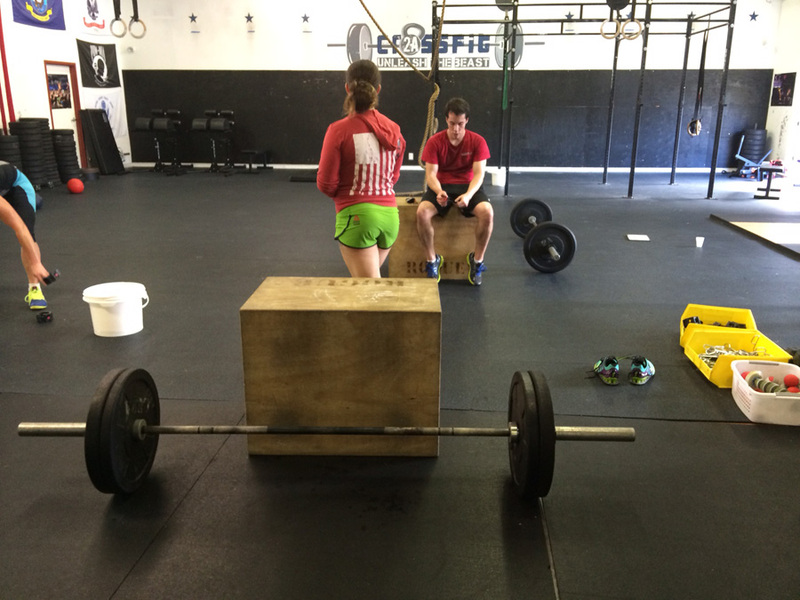 Overall, it felt great to start getting back to doing most of the WOD without modification.